Mmmmm, cake. 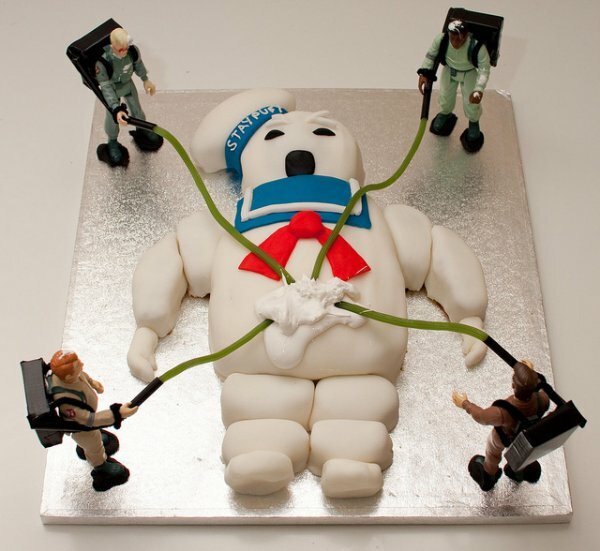 This is the cake that any and every Ghostbusters fan has dreamed of for their birthday. 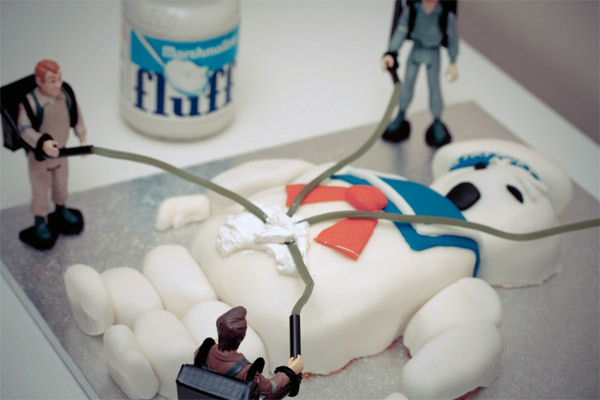 Because, let’s face it, a Slimer cake would be disgusting and would also require a ton of clean up. 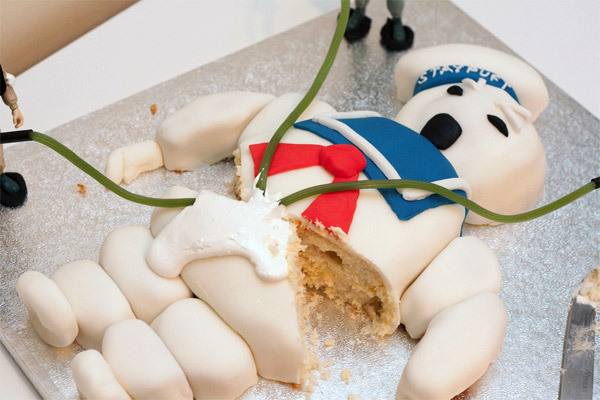 This amazingly awesome Stay Puft Marshmallow Man cake was created by Poppet with a camera and features the Stay Puft Marshmallow Man getting zapped by all four Ghostbusters. 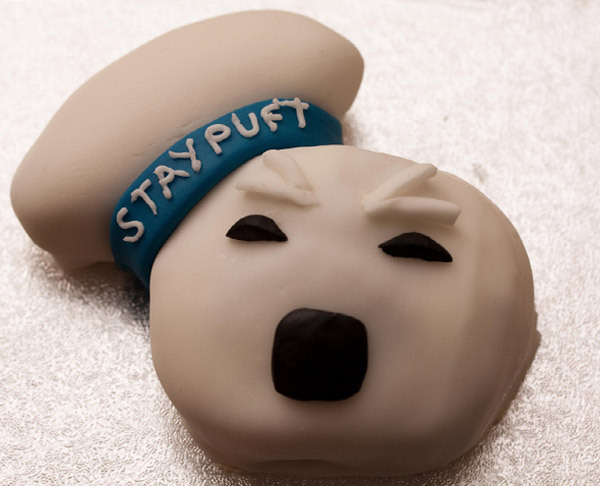 It is an amazing work of cake art and no doubt delicious – thanks to its Marshmallow Fluff guts. I just wish I could have eaten it all up.